Grilling spatulas can be up to twice the size of your typical household spatula. 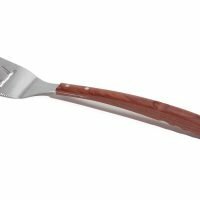 They are great for flipping extra large burgers, steaks or even scooping up small pizzas. 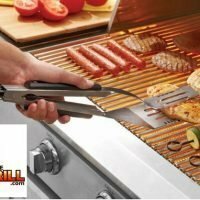 Better grill spatulas are between 16 and 18 inches long and have a large beveled leading edge blade. 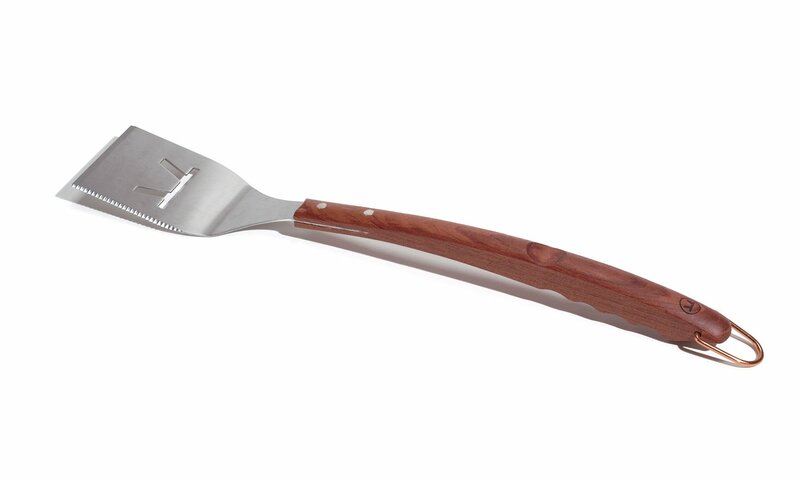 Because of the larger size the weight can become an issue with these grilling spatulas. Imagine cooking at a family barbecue where you are grilling for hours on end. That extra pound or so that the very large spatula carries will eventually begin to wear on your arm. That’s why most restaurant cooks use a smaller lightweight spatula for cooking all day. Longer doesn’t necessarily mean heavier thicker blades are usually the culprits. 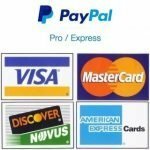 The ideal weight for most spatulas is just under a pound, there are a lot of high priced quality spatulas that break this rule. Another thing to consider is the cleaning of your spatula. We always recommend washing your tools by hand however, if you want to throw it into your dishwasher you will want one that is all stainless steel. Dishwashers and wooden handles do not mix.